My roses enjoyed the rain we got this week. So did some bulbs I got from my friend and co-author on HEIRLOOM BULBS, Chris Wiesinger. (Most people know Chris best as “The Bulb Hunter.”) Double Roman, a historic daffodil believed to be cultivated since the 1500’s in Europe, naturalize well in the Coastal South, too. 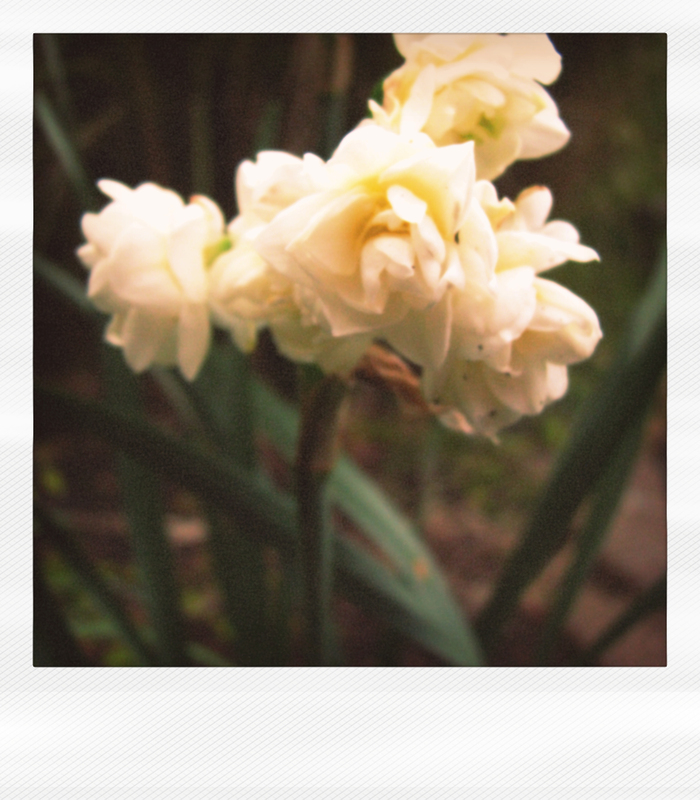 They bloom early and have a divine fragrance. Although not the fragrance, a divine bloom in MY book is the cherry blossom. My oldest daughter and her husband live in the D.C. area so we traveled up for the Cherry Blossom Festival a couple years ago. It was breathtaking! I tried to get the feel at my house with a dwarf Mexican cherry since ornamental cherry trees don’t get enough cold here to bloom properly, but there is no comparison. 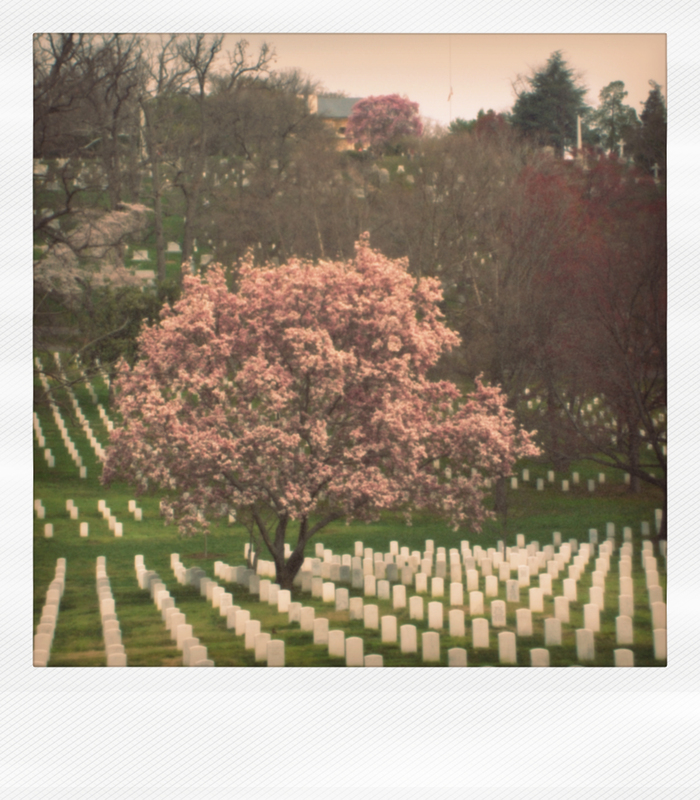 The blooms transform Arlington Cemetery into something ethereal. The most moving moment was seeing the change of the guard that time of year. 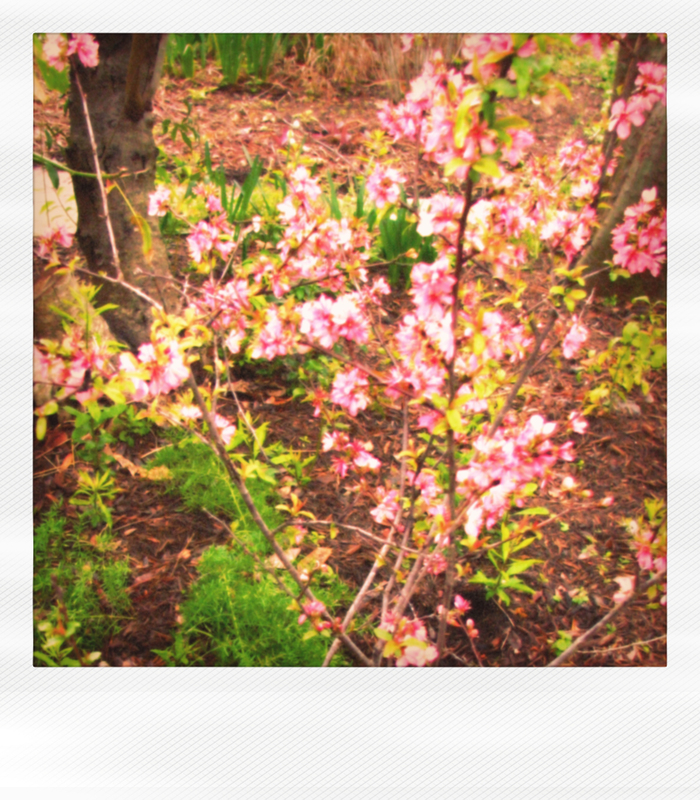 Posted on February 17, 2012, in happening in my life, outside my window and tagged Cherie Colburn, Cherry Blossom Festival, Chris Wiesinger, Double Roman daffodils, historic daffodils, Mexican dwarf cherry, Southern Bulb Company, The Bulb Hunter. Bookmark the permalink. 4 Comments. 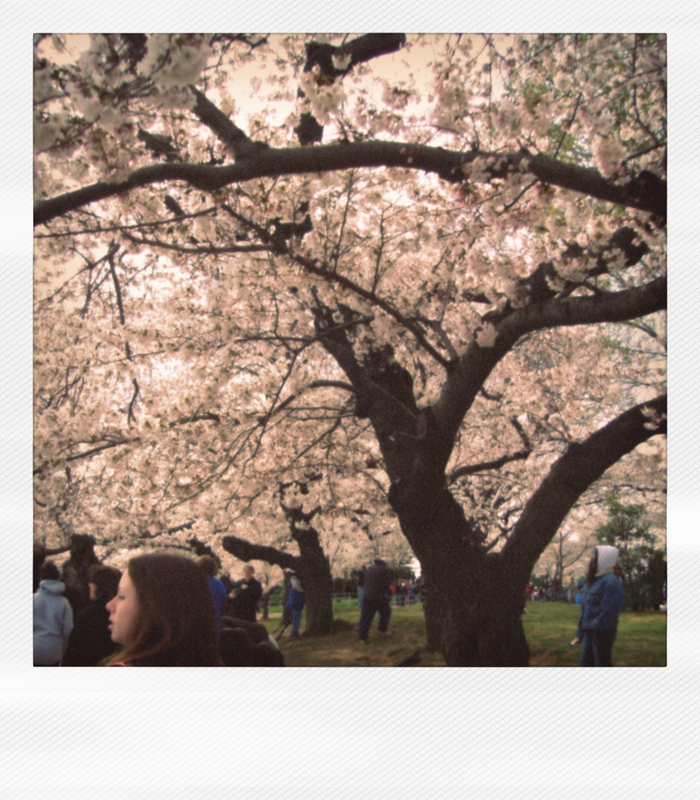 I would LOVE to go to the Cherry Blossom Festival. When is it? I think the Mexican Cherry tree is a beautiful tree and now I want one!! Our roses are just now starting to come out. 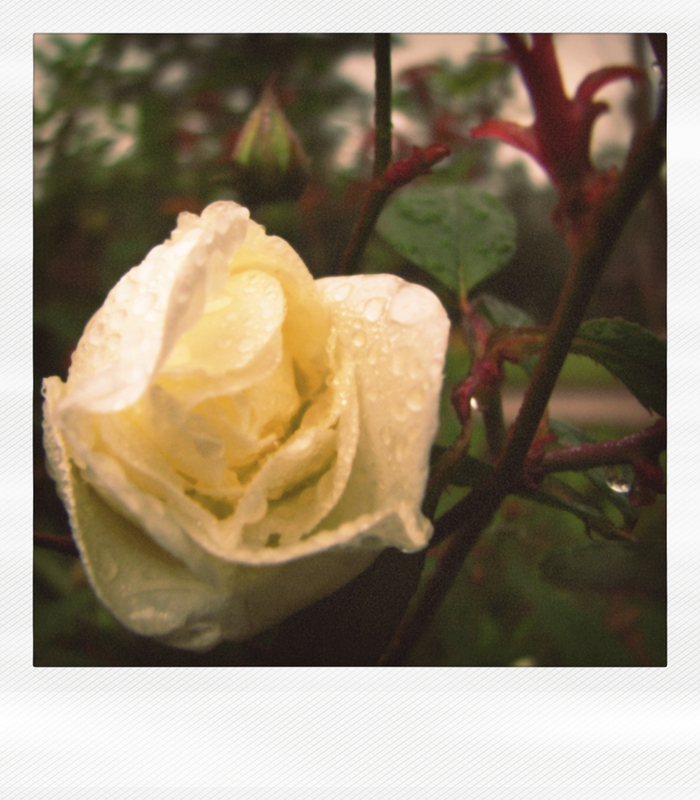 Yesterday I took a pic of the first rose in the garden. I am so happy that my hubby likes to grow them. Thanks for all of your help with our yard. We are still working on it, but one day it will get there thanks to you. Mandi, I’m glad your hubby is a gardener, too! Did he get to go to the rose seminar at Arbor Gate on Saturday? Since it wasn’t good hunting OR golfing weather, thought he might attend. Here’s the link to the 2012 Cherry Blossom Festival. Thanks for the festival info! YES he did get to go to the seminar and said it was very informative. Thanks for the recommendation!